What this means in basic terms is “find me a specific cell within a table of data where a certain criteria is met”. This is such a powerful function that can be used to speed up work in so many different ways. But we aren’t going to look at why this is so great here, we are going to look at the main limitation and most importantly how to get around this with more clever magical Excel formulas. Throughout this blog post we’ll look at what each of these mean and how they can all be used in conjunction to perform a function what is essentially equivalent to a VLOOKUP within a VLOOKUP. 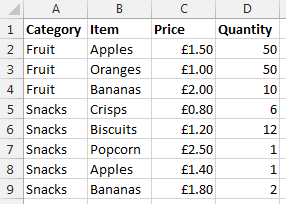 You may be wondering why apples and bananas are classed as snacks in the data. Don’t worry about that. Just go with it. There are many different situations whereby you may be presented with this type of data so this is purely to illustrate the example in a simple way. This is the data that we will be working with so you can clearly see how this technique can be implemented. To keep things easier to understand, these two pieces of data are kept on two separate sheets within the Excel worksheet. You may be a little confused with the above, so this post will explain exactly what each part of this means and why it is contained within the rather large and complex formula above. Most importantly, you will be able to understand how to perform the equivalent of a VLOOKUP inside a VLOOKUP. Below we will talk through each of the above steps so you can understand why it is important. Firstly if you are wanting to perform a VLOOKUP within a VLOOKUP then you need to find where the sub-table starts and ends. While you could manually enter this in for very small data sets, this is simply not practical for large data sets. To perform this action we need to define search for the first and last occurrence of when ‘something’ is found. 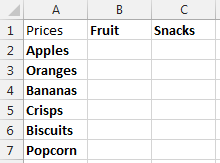 A note on this point, you will need to ensure that your lookup data, in this case the ‘Prices’ sheet, is ordered by the column you are looking up, in this case the ‘Category’ column. Since if this isn’t the case, then data will be included within this sub-table which shouldn’t be. Once this has been identified, then we can use the standard =VLOOKUP() function on this sub-table to find the data we would like. There are a few different formulas included to find the first occurrence of data within a column which are outlined below. returns the number 2, because 25 is the second item in the range. Use MATCH instead of one of the LOOKUP functions when you need the position of an item in a range instead of the item itself. For example, you might use the MATCH function to provide a value for the row_num argument of the INDEX function. This has now found the first occurrence of this information within the column of data. Now we need to translate this into something that a VLOOKUP formula can use. The =ADDRESS() function takes a Row Number and a Column Number and turns that into an Address. In this case, the row number is generated from the previous function, =MATCH() and the value of E3 in the example above is 1. We use 1 because for this we are only interested in starting on the first column of data. Once we know we are starting here we can always move the cells along accordingly. In our example, this address at this point in the large formula is set to $A$2. Now we know we have created an Address in the previous step which was within column 1, this is also the same as column A. This makes life easy for us as we know where this is. 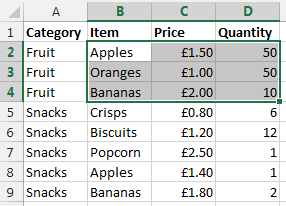 The next step is to nudge the sub-table over so the =VLOOKUP() function can easily lookup the data in the later step. Where E4 is the cell which contains the Address from the previous step. Now we want to nudge this over using the above function which will mean this item is now set to $B$2 which is the starting point of our sub-table. 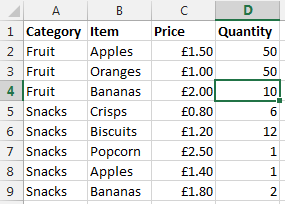 Ok, so we now have the starting point for the sub-table for the VLOOKUP to use. 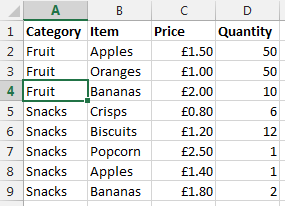 We now need to calculate the end point so the sub-table can be used within the VLOOKUP. =INDEX() – Which returns a value or the reference to a value from within a table or range. Unlike previously, it is not simple to break this out into sub-sections to explain the different points as the formulas don’t work when breaking them our separately due to the way the =SUMPRODUCT() function works. As such, I’ll talk through what each of the different parts of the formula mean and what they do. You may have spotted the -1 in the formula above. This is to ensure that the data is pulling back the correct row number. If this isn’t there, then you will notice that the data that is pulled back is a row below where you would expect. To get a good understanding of the above part of the formula, then I’d recommend reading the fantastic guide over at Excel User. Once we have this data we then wrap this in an =ADDRESS() function then a =SUBSTITUTE() formula which first turns the result into an Address that Excel can understand, opposed to standard text, then moves the data over several columns from column A to column D. This is needed, since we will be creating a sub-table that includes several columns. In this case, 3 columns which are column B, C and D. If you are working with data with more columns, then you will need to replace the D with a higher column. So now the end of the sub-table is set to $D$4 which means that we have a starting point and an end point for our sub-table which can be used in the =VLOOKUP() function as outlined below. Now we have the sub-table defined using all of the above formulas, we can use the standard =VLOOKUP() function once we have joined all of the above data together. The data within E5 is the starting point of the sub-table, and the data within E11 is the end point within the sub-table. In our example, this gives us the answer of ‘Prices’!$B$2:$D$4. We wrap the concatenate function within the =INDIRECT() function so that the data is treated as a reference, opposed to text. The data within E13 is the result of all of the work previously in this post, I’ve just left this in here to make this easier to read and understand. For the full formula, this would be replaced with the individual parts. Now the data that is brought back is exactly what we want. So there you have it, how to perform the equivalent of a VLOOKUP within a VLOOKUP using a few different formulas within Excel. You may be a little scared of such a huge formula at first, but you will see that when you do need to use this, I would always recommend breaking this out into the different parts before trying to create one monolithic formula as you will be able to put this together much easier. Also, in the formula below, you will notice that it is all wrapped in an =IFERROR() function which simply sets the data to 0 if nothing can be found. You can set this to whatever you like, I just chose 0 since this was about prices. Ok, so this isn’t for the faint hearted. But for those advanced Excel users around I’m sure you will have come across times when you really needed to perform a VLOOKUP inside a VLOOKUP and found that after a long time researching how to do this online that it isn’t a simple task. So hopefully you can see the clear steps included above and this will help in the future. The beauty of the above formula is that you can now drag this into new rows and new columns without having to update anything, all thanks to the $ signs throughout the formula. This idea is brilliant… but I can’t get the actual formula to work. 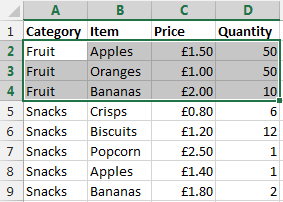 Can you please comment back with the formulas for cells B2 and C2 in the picture directly prior to the summary titled “Result of a Vlookup inside a Vlookup”? The “‘Prices’!” in the formula below is tripping me up. Excel keeps asking me to open up the file named Prices. 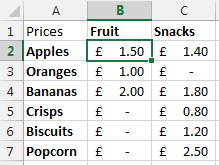 If Excel is asking you to open up the file named “Prices” then this is pointing you in the direction that the complex formula is incorrect syntax. 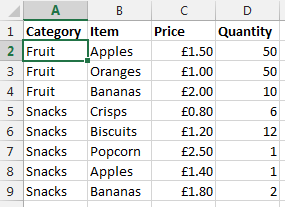 Where you are CONCATENATEing the query, try using the correct syntax, =CONCATENATE(Sheet1!A1, Sheet2!A1) – From the looks of your formula at a quick glance, it looks like you’ve not selected the Cell where you have ‘Prices’! In cell B1 of tab “Data Sheet – Summary Prices”, I entered the formula below and it worked. THANKS!! !